Would you like to join a lively group of faculty, staff, and students for a weekly meeting to discuss a journal article related to Education & Cognition? If you can make it in person, we meet each week on Thursdays, 10:30am in PC-316 (McMaster University). 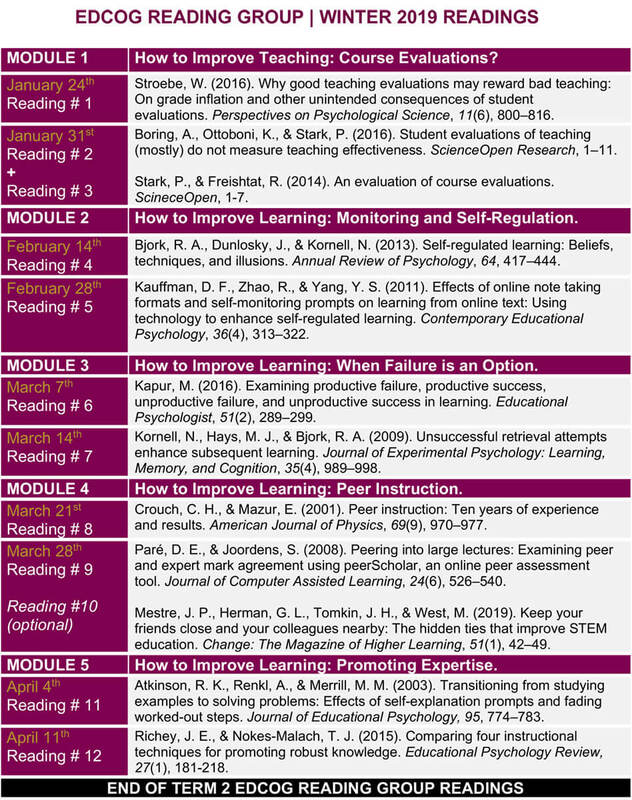 Download this reading list and schedule here.